Need a break from the car? Grab a bike (and, probably, a helmet), and hit the trails. 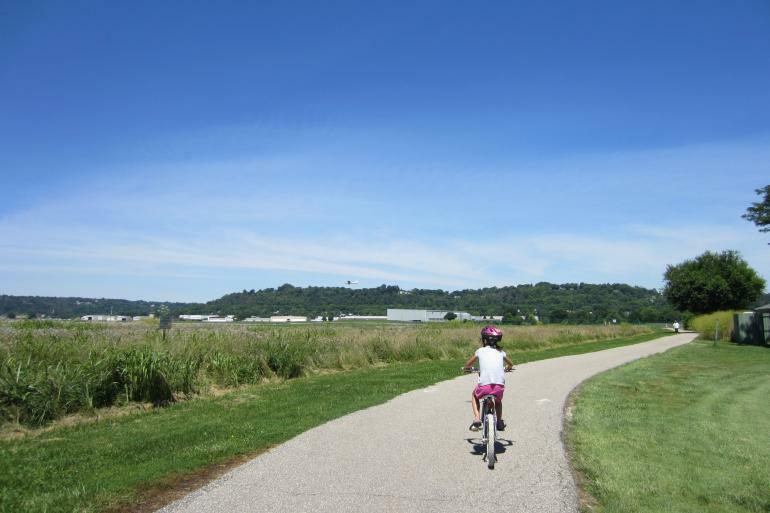 With its numerous parks, preserves, and riverfront views, Cincinnati has options for all ages, from training wheels to full-size bicycle. 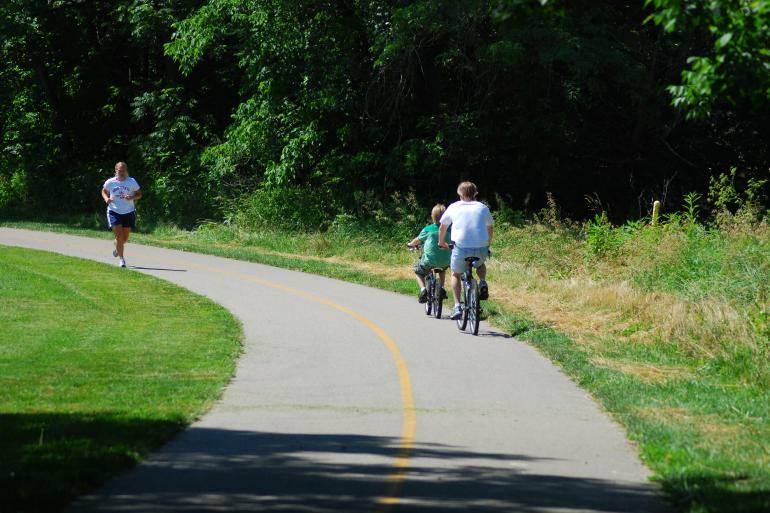 Whether you’re looking for asphalt or mountain bike terrain, there’s a trail to be found in Cincinnati. 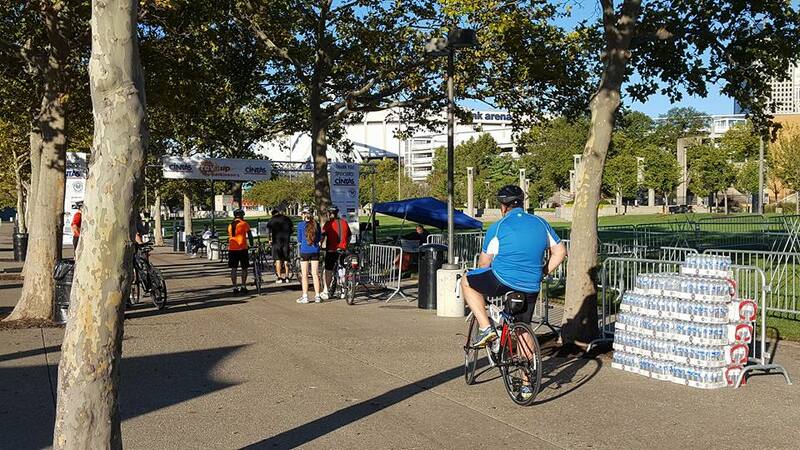 Here are the best bets for biking in the greater Cincinnati area. This mile-long stretch on Cincinnati’s downtown riverfront is famous for its city views, art and landscaping, and serpentine wall. Come to bike in the shadow of the stadiums, stay for the extensive playground, sand volleyball courts, or the city’s Steamboat memorial. Upon completion, this longstanding project will span 23 miles along the Ohio River, from Coney Island to Sayler Park. As of now, the trail offers 10 miles of biking and walking trails, winding through Lunken Airfield and Otto Armelder Park. At first, the second largest cemetery in the US, founded in 1845, sounds like an odd place for a relaxing bike ride. 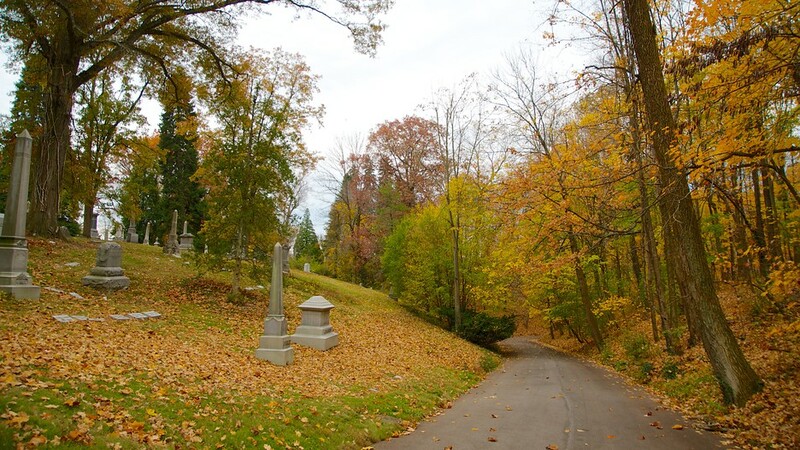 But the cemetery doubles as a first-class arboretum and boasts numerous shaded paths, fountains, and outdoor scenery ripe for biking or strolling. Named for Cincinnati’s first African-American mayor, this park just east of downtown celebrates friendship and cooperation. It features numerous cutting-edge sculptures and views of the river, as well as two bike trails that weave together like ribbons along the riverfront. 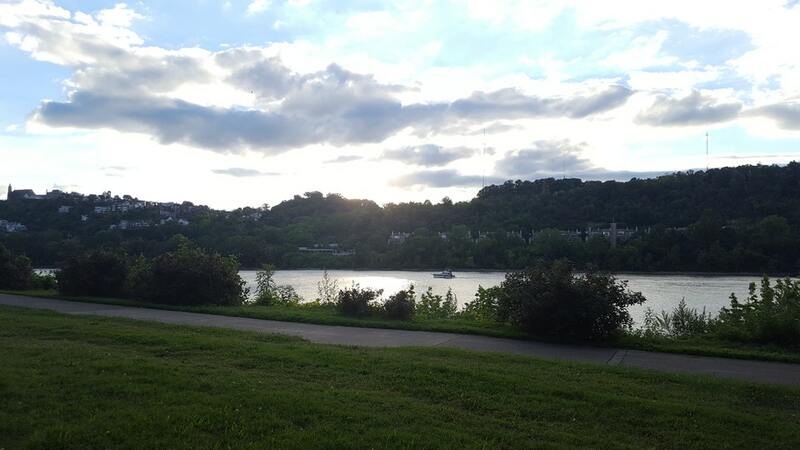 Bring a camera to Devou Park, because it contains some of the best views of Cincinnati from across the river. Devou’s bike paths wind through trees, up hills to the Drees Pavilion overlook, and to the Behringer Crawford Museum. For those more committed to sport, there are also backcountry biking trails. Bellevue Beach Park hugs a calm section of the Ohio River east of Cincinnati. 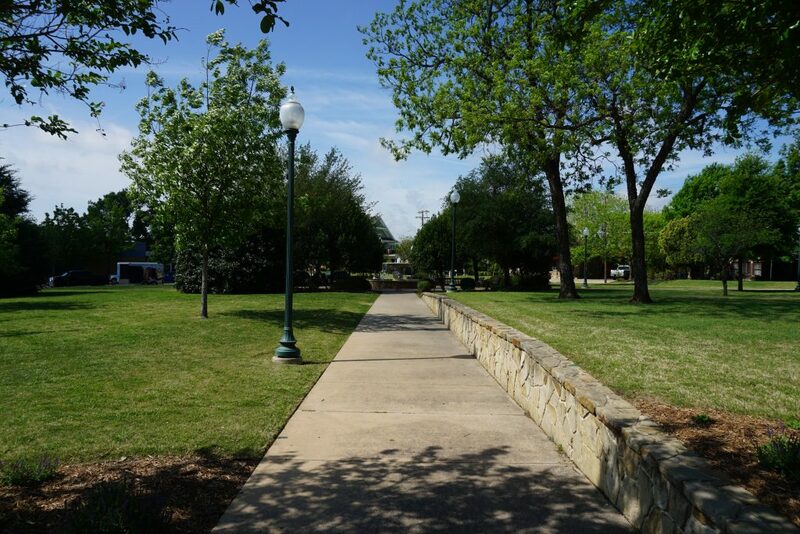 The park maintains shared-use paths along the waterline, as well as a public beach and a summer concert series. Boone County’s central park, located 25 minutes southwest of Cincinnati, spans 121 acres and contains 12 athletic fields. It’s 2+ mile multi-use trail leads casual bikers through the arboretum’s impressive collection of trees, plant families, and flowers. 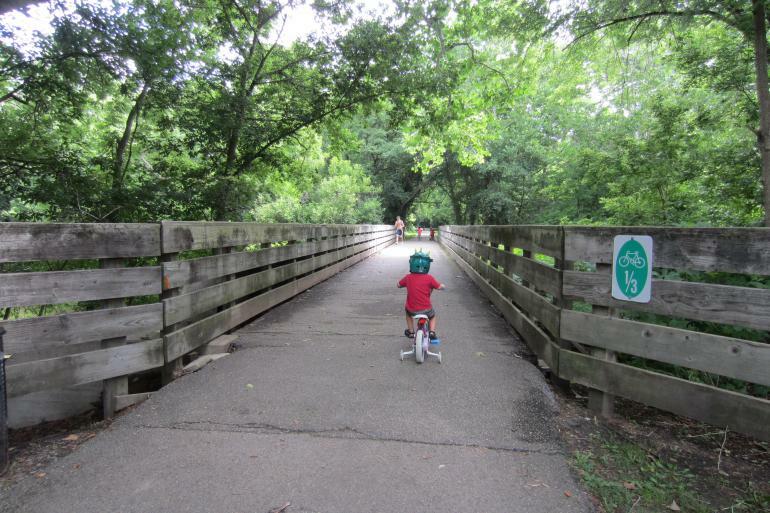 What’s commonly known as the “Loveland Bike Trail” is actually a course called the Little Miami Scenic State Park, which follows its namesake river for over 70 miles with connections in Loveland, Milford, Newtown, Miami Township, and Lebanon. The trail is popular with casual bikers and enthusiasts alike, given its length (connections extend over 100 miles) and numerous opportunities to stop in towns for recreation, rest, and beer/pizza refreshments. The southern end of this lake and nature preserve in Batavia, just off state route 125, contains over 8 miles of scenic mountain biking trails ranging in intensity from beginner to high intermediate. East Fork is particularly beautiful in the fall, when the deciduous forests through which the bike trails twist and swerve turn golden. 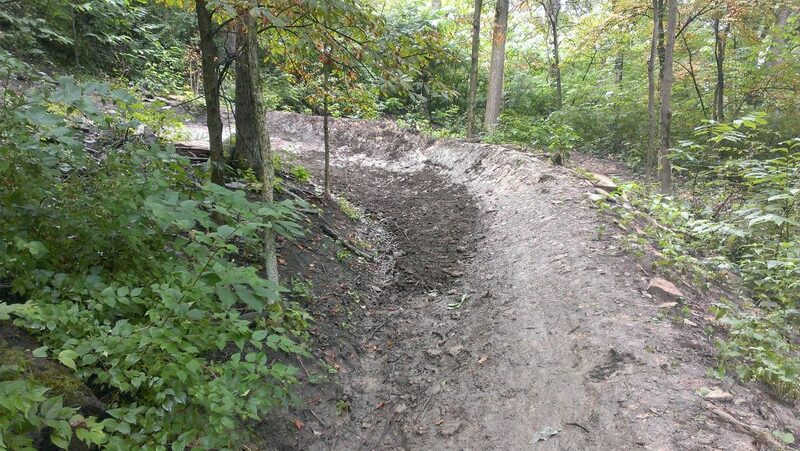 The eight miles of bike trails in Mitchell Memorial Forest, tucked along the east bank of the Great Miami River, were designed for mountain biking enthusiasts. There’s a section for intermediate riders, while more experienced bikers can attempt the steep terrain and technical features of the 4.1 mile advanced trail. 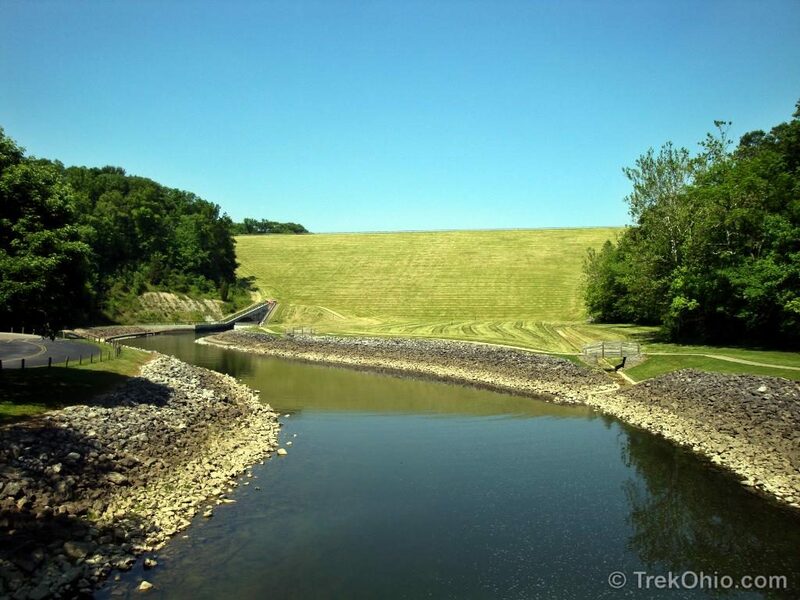 Miami Whitewater Park, northwest of Cincinnati, pairs extensive acreage and outdoor recreation with its bike trails. 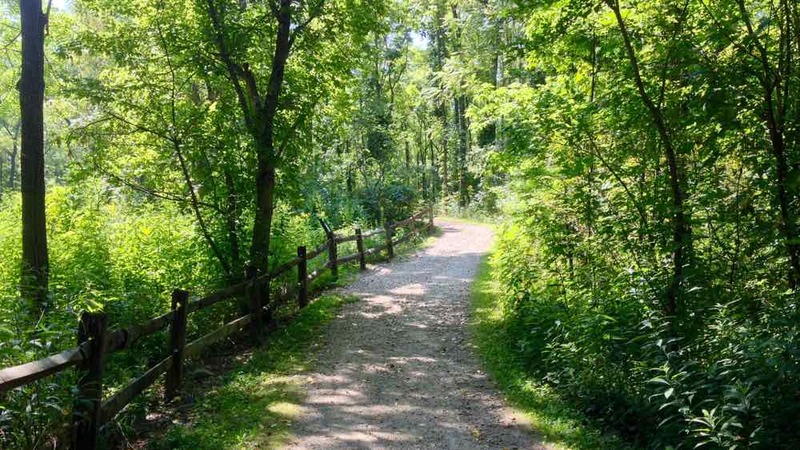 Its “Shaker Trace Outer Loop” trail, nearly 8 miles long, weaves through woodland and wildlife lookouts, and abuts Miami Whitewater’s recreational lake. 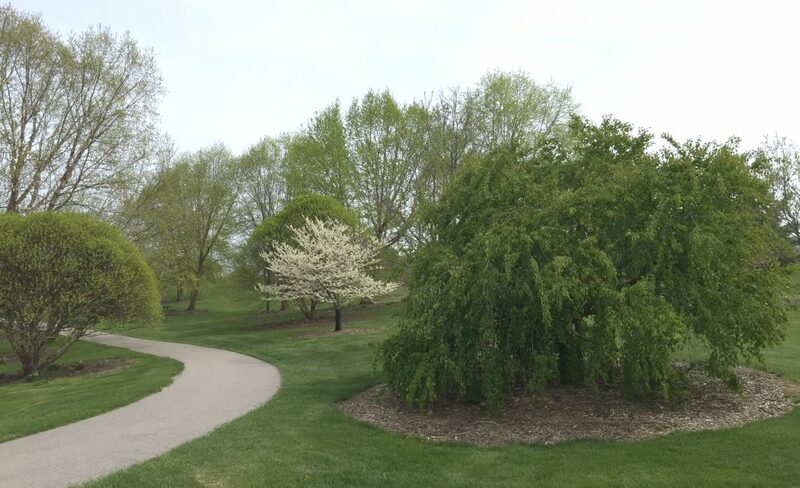 Miami Whitewater Forest also maintains a campground, golf course, harbor, and snack bar. This educational nature park in Sharonville maintains numerous trails for hikers, bikers, and the casual forest enthusiasts. 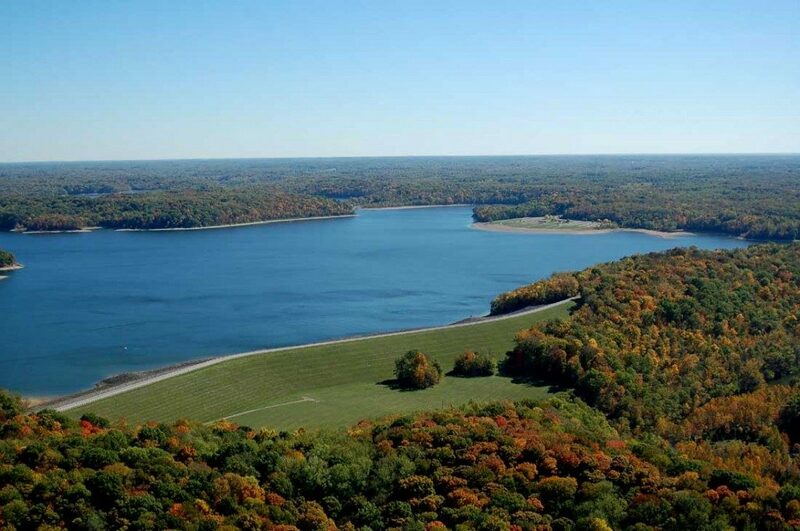 Most trails are not open to bicyclists, though the designated shared-use trail, over two miles long, surrounds a scenic lake and provides excellent woodland views. Similar to its Hamilton County Park cousin, Winton Woods offers a variety of trails, though only some permit bicyclists. The ones that do follow the curve of the park’s central lake, which supports a harbor and picturesque views. Caesar Creek, a woodland preserve in Waynesville, contains various options for mountain bikers, from the 13.3 mile stretch between the campground and Harveysburg Rd to the 3.3 mile Fifty Springs Loop trail. Advanced riders should find technical and steep terrain in the longer stretch, while the smaller loop welcomes novices.